These are vintage cabochons/cameos that were made in Hong Kong. They are made from an acrylic/plastic material. 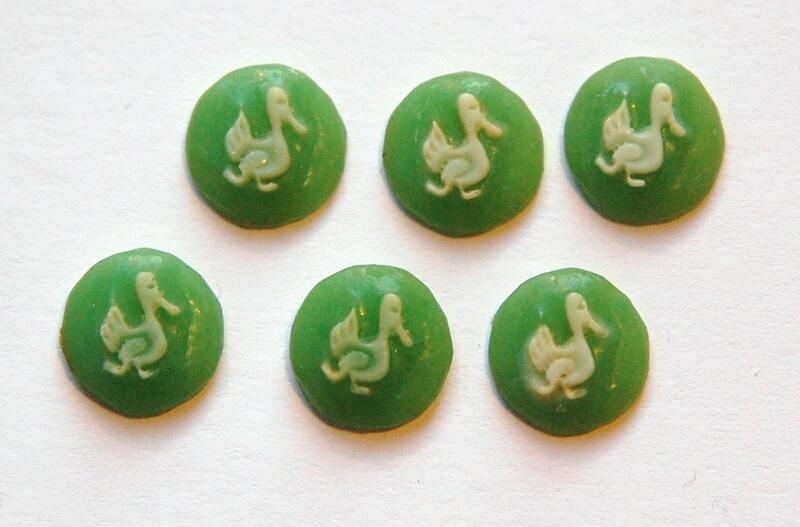 The base is a green color and the raised duck design is done in an ivory color. These are mainly flat back but some are a little concave on the back. These measure 10mm. You will receive 6 pieces. I am listing these with other designs and colors. Very cute and unique item. Thank you!